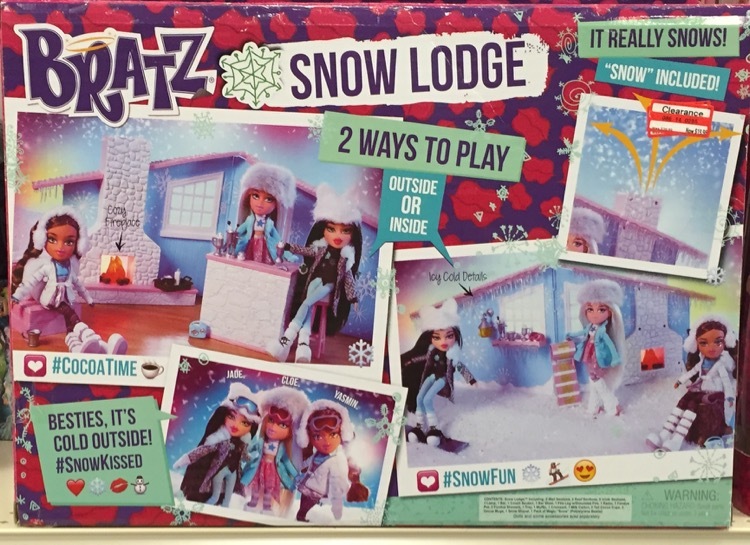 Here is a peek at what I found on clearance at my Kent, Washington Target store. 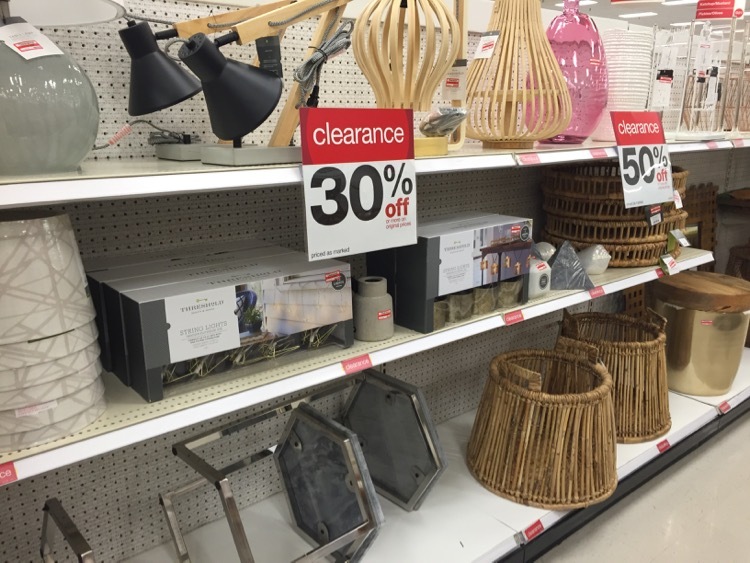 Keep in mind that clearance deals can vary by location so you may not find the exact same deals at your store. I was surprised to finds these Sonia Kashuk travel brush kits marked down to 85% off. They were only $2.24 (reg $14.99). We had a whole bunch of Seahawks shirts marked down to 70% off. Your city may not have the Seahawks, but it is probably the same with all NFL apparel. 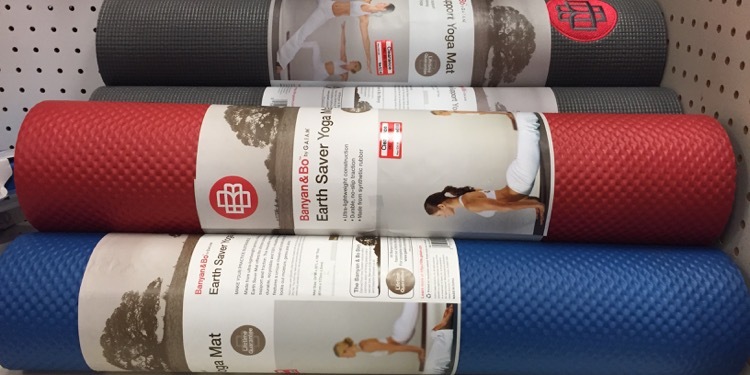 I spotted yoga mats marked down to 50% off. There was also quite a few toys marked down to 50% off. 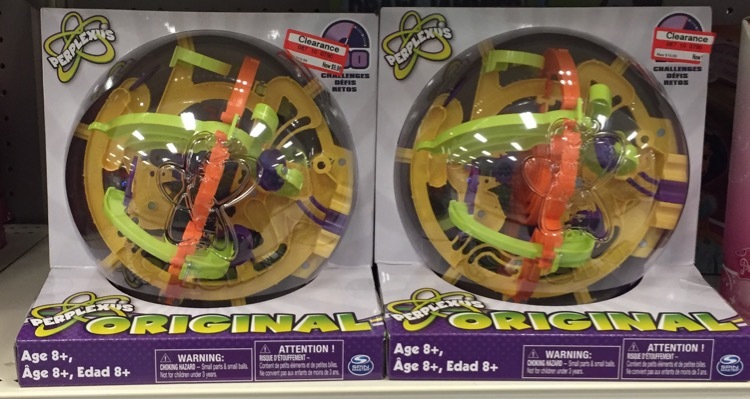 I saw these Perplexus games marked down to $9.98 (50% off). I highly recommend these, they are such a blast. I would even pay full price for these! 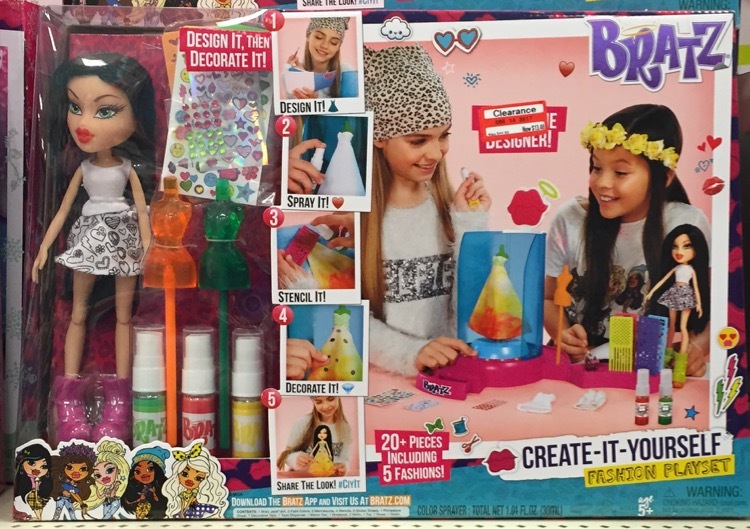 Several Bratz dolls and sets were 50% off. 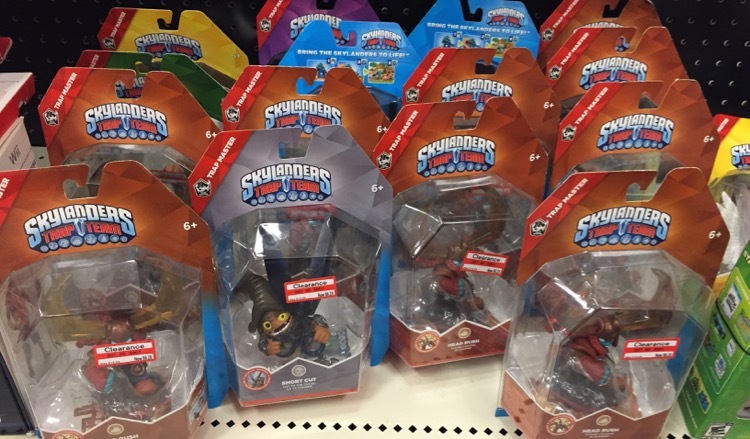 I noticed Skylanders Trap Team figures at 50% off. 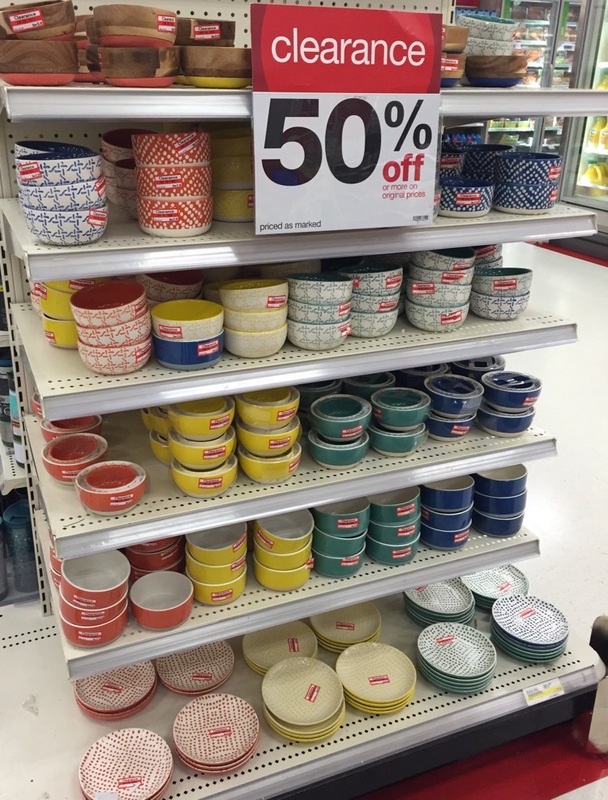 I was thrilled to see al these plates and bowls marked down to 50% off. I love them all! If I’m not mistaken these totally skipped the 30% off markdown at my store. 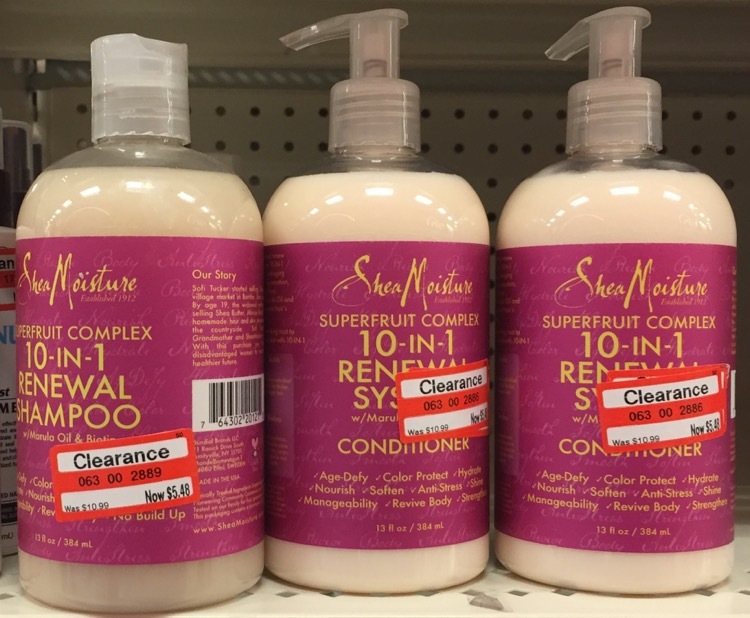 I found some high end hair products at 50% off. 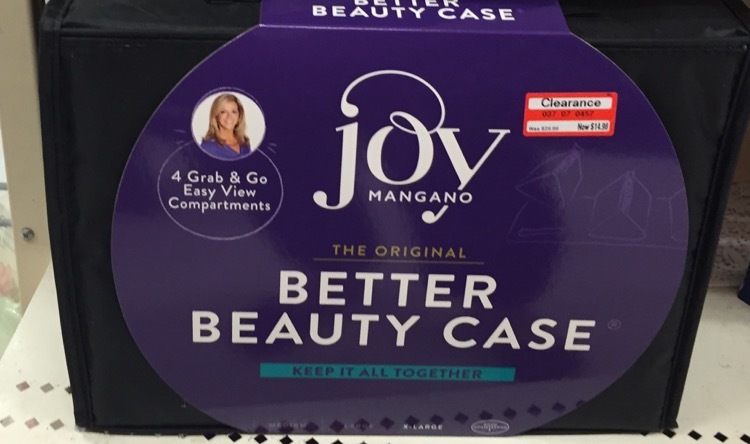 Some of the Joy Mangano organizational line was also 50% off. These beauty case is $14.98 (reg $29.99). The most recent home decor items have been marked down 30-50% off. 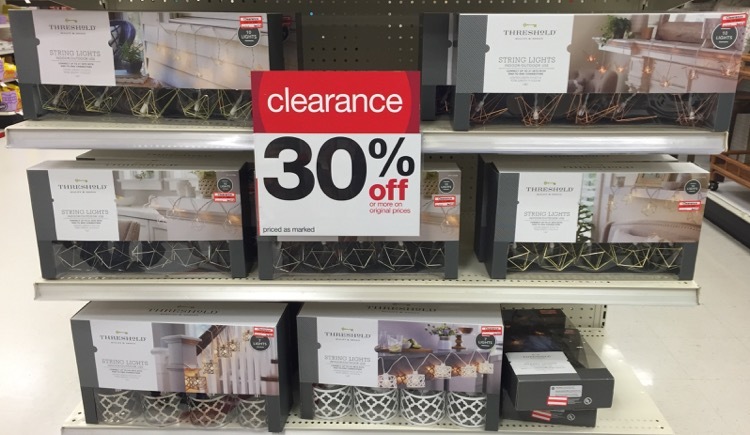 String lights were newly marked down to 30% off. 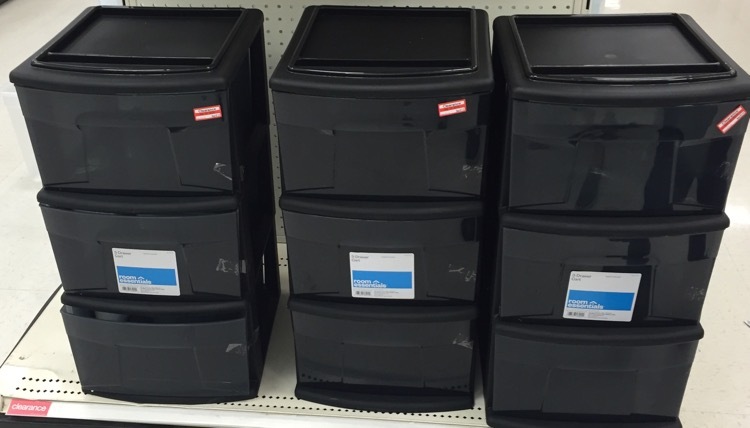 Storage and closet organizers were also marked down to 30% off. 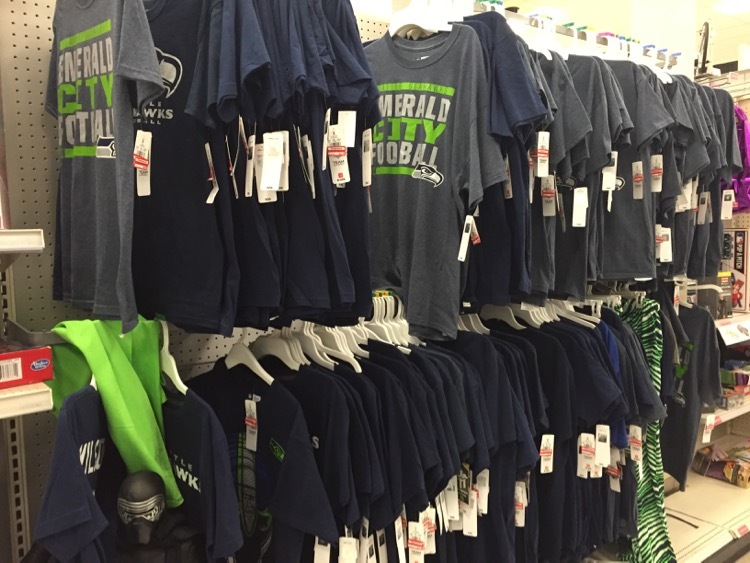 Any idea why Target doesn’t put its Seahawk apparel on sale/clearance on the target.com website? My 8 year old son is a huge Seahawks fan — but no way we’ll find anything in our NC store. Web items are not marked down . . . . surely they need to clear out their warehouses, too. 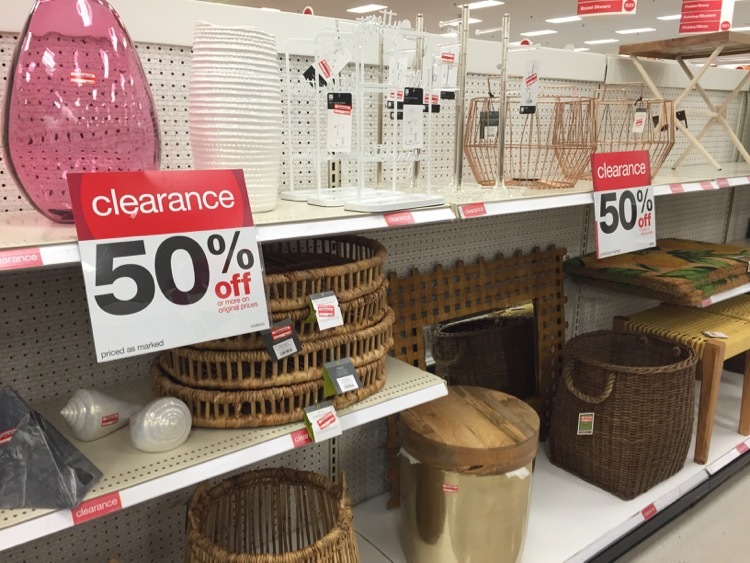 Lori – I”m confused by Target.com, they are slow with all the clearance (holiday too). Having said that I did find some Seahawks clothing on clearance to 65% off last week but it was mostly women & girls. I’ll keep an eye on things and post if I see some deals, my son too is a big Seahawks fan.